Networks are complex structures. Network maps can be initially confusing, but can reveal important insights into collections of connections. In a social media network map a network “edge” is created between two users when they mention or reply to one another. People tend to group, clump or cluster based on their shared interests or attitudes. This is the phenomena called as “homophily” also known as “birds-of-a-feather-flock-together” in which people are attracted to the people most similar to themselves. 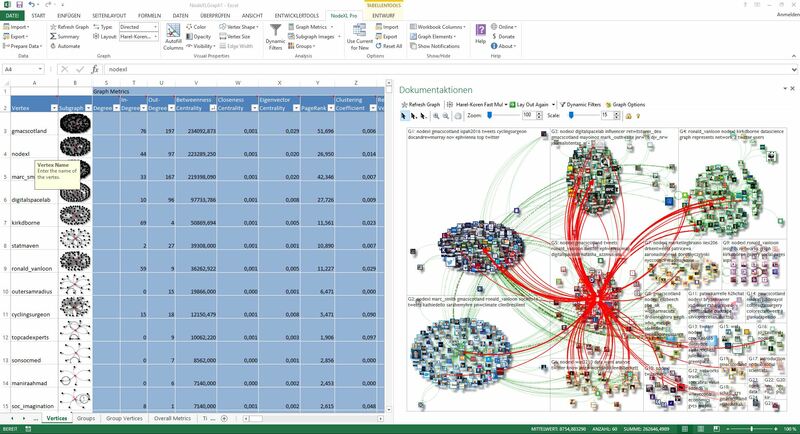 NodeXL Pro uses the clustering algorithms (like Clauset-Newman-Moore) to detect these groups. NodeXL can then visualize each group in a dedicated region (the “Group-in-a-box” layout) with the largest number of users in the upper left corner of the map and the smallest in the lower right corner. Each major group is labeled with the most frequently used words by people in that group. Once we understand the overall picture we can take a closer look at the dataset. The vertices spreadsheet provides several network centrality measures to identify key influencers within the network. You can zoom into any user’s sub-network to discover the details of their connections and content in the edges spreadsheet. Within the NodeXL workbook, the “Twitter Search Network Top Items” worksheet summarizes the findings of content and sentiment analysis and delivers lists of overall and group-related top items like most frequently used hashtags, URLs, words and word pairs embedded in the tweets or posts of the analysis. 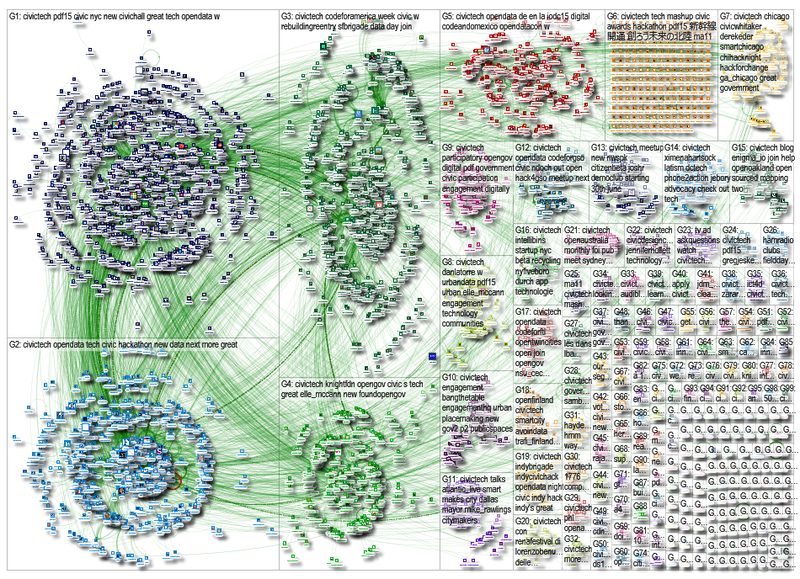 A good introduction to applying NodeXL network maps to social media can be found in our co-authored research report with Pew Research Center Mapping Twitter Topic Networks: From Polarized Crowds to Community Clusters. This report describes the steps needed to perform social media network analysis and reveals the six basic types of social media networks that form around different kinds of topics in systems like Twitter. This 12-minute video provides a great summary of the report and will help you to “think link”.